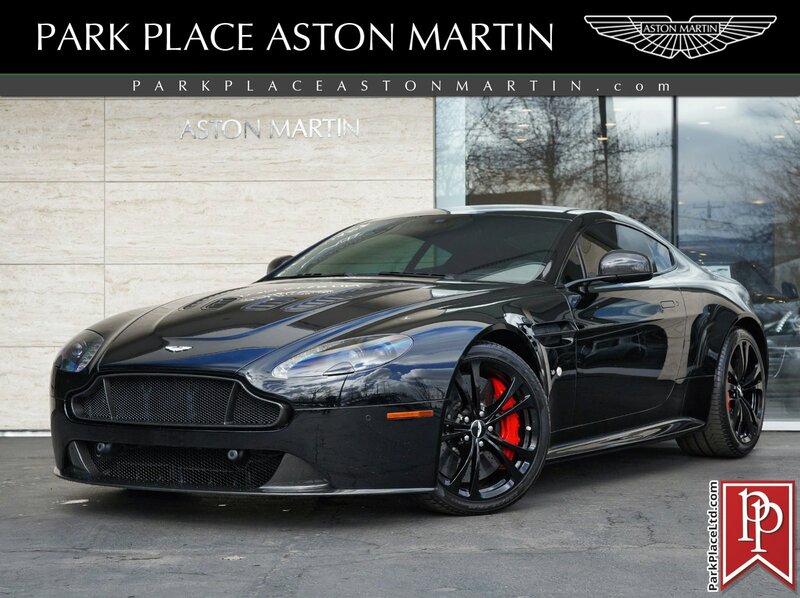 2015 Aston Martin V12 Vantage S finished in Jet Black with Black Leather and Alcantara Interior. 8,023 miles, $209,196 MSRP with over $26,000 in factory options. Powered by a 6.0L 565hp V12 Engine and backed by a 7-Speed Sequential Gearbox. 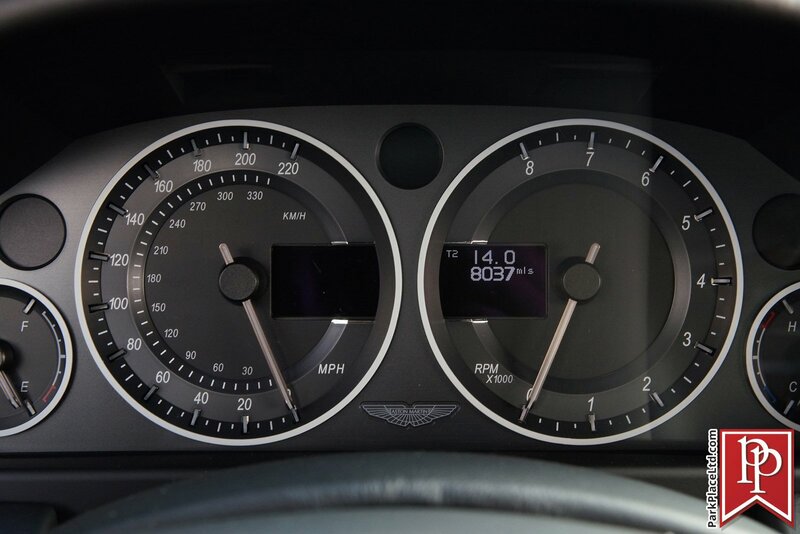 The 2015 Vantage S V12 was the fastest production car to come from Aston Martin at the time. Capable of a 3.7-second sprint from 0-60mph and will touch a top speed of 205mph. Again, the engine is backed by an all-new SportShift III 7-speed sequential gearbox -- a transmission unique to the V12 Vantage S. This all-new transmission is designed to unleash the full potential of the V12 engine and features components taken directly from the One-77 Hypercar. 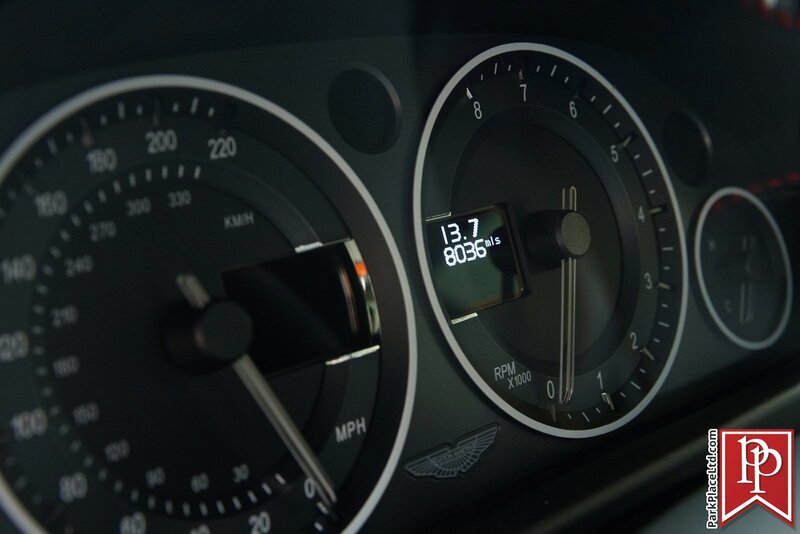 The engine also carries over the lightweight performance exhaust system from the Vanquish supercar, creating a savage exhaust note that is unmistakable. Power that plants you in your seat and a sound that will give you chills is only the beginning. Full warranty until September 29, 2018, with unlimited miles. This example has many factory options that consist of; Exterior Carbon Pack ($4,545), 19-Inch 10-Spoke Gloss Black DT Wheels ($3,565), Aston Martin 700w Premium Audio ($1,595), Red Brake Calipers ($1,595), Lipstick Graphic ($1,595), Roof Panel Graphic ($1,595), Headrest Embroidery ($750), Heated Front Seats ($750), Tailgate Graphic ($750), Second Glass Key ($750), Black Side Window Surround ($750), Front Parking Sensors ($570), Black Pedals ($570), Black Textured Tailpipe Finisher ($570), and First Aid Kit ($145). Standard Features consist of; 6.0L V12, Multipoint Sequential Fuel Injection, 7-Speed Sportshift III Automated Manual Transmission, Axle Ratio: 3.727, Rear-Wheel Drive, 4-Wheel Ventilated Carbon Ceramic Disc Brakes with Anti-Lock Braking System (ABS), Electronic Brakeforce Distribution (EBD), Dynamic Stability Control (DSC), Emergency Brake Assist (EBA), 3-Stage Adaptive Damping System (ADS), Servotronic Steering, Electrically Adjustable Front Seats, 6-CD Autochanger and iPod connection, Power Windows with One-Touch Down, Trip Computer, 3-Position Memory Seats and Exterior Mirrors, Powerfold Mirrors, Rear Parking Sensors, Cruise Control, Bluetooth Telephone Preperation, Satellite Navigation System, Automatic Headlights, Automatic Wipers, Front Seat Belt Pre-Tensioners, Occupant Sensing Dual Stage Driver and Passenger Front Airbags, Front Head and Thorax Airbags, Remote Central Locking with Deadlocking, Anti-Theft Engine Immobilizer, and Tire Pressure Monitoring. The exterior presents a beautiful color with smooth and eye-catching body lines. The Jet Black shows off the depth in which every detail was thought out while creating the look of this masterpiece. Interior qualities show just as promising as the outside. Black Leather and Alcantara interior make the car feel like the sporty, yet classy, piece of automotive bliss that it is. Enjoy the comfortable and inviting nature of the interior while displaying the power and prowess that Aston Martin has given to you with the Vantage S.
For more information on this 2015 Aston Martin V12 Vantage S, or any of our 15+ Astons always in stock, contact one of our friendly and knowledgeable sales consultants or always feel free to drop by our 5-acre Bellevue, WA campus - Home of the West Coast's Most Exciting and Diverse Inventory of Luxury, Exotic, High Performance and Collectible Automobiles. With 200+ Always On Site, Nobody Has What We Have!